Lions Clubs International has over 45000 Clubs and 1.3Million Members in approx 203 Countries. The HQ of the Association is based in Oakbrook, Chicago, USA. Lions Clubs International came into being in 1917. The Lions Clubs Motto is "WE SERVE", but Rochdale also includes the phrase:- "WE SERVE BECAUSE WE CARE". The aim of Lions Clubs is to serve our respective Communities in any way that is required. One of our main Projects is service to the Blind. In the 1920's Helen Keller attended a Convention and asked the Lions to become "Knights of the Blind", and ever since, Lions have continued to act as Knights to the Blind. Recently Lions had a Project called Campaign Sightfirst 2, which raised $200Million which will help erase River Blindness in Third World Countries, and train Medical Staff. Cateract Operations are carried out in Hospitals funded by Lions Clubs, and a great many of the Doctors are members of Lions Clubs. Rochdale Lions Club needs New Members to help us to continue serving our Community. Any Man or Woman over the age of 18 who would like to spare a couple of hours a month helping the Aged or Infirm or Vulnerable members of our Society would be made very welcome to attend one of our Meetings. If you came, you would not be "Press Ganged" into joining us. We would like you to attend a few Meetings to see if what we do , is what you want to do, and it also gives you time to get to know us. LIONS CLUB MEMBERS ALWAYS EXTEND A WELCOMING PAW TO THOSE IN NEED! BE PROUD, but be kind! BE a LION!! WE ARE NOT A POLITICAL ORGANISATION, yet amongst our Members will be found Leaders of all Political Parties and Factions. WE ARE NOT A SOCIAL CLUB. yet we are directed to take an active interest in the Social Welfare of our Communities. WE ARE NOT A YOUTH ORGANISATION, yet we participate in so many Youth programmes Worldwide. 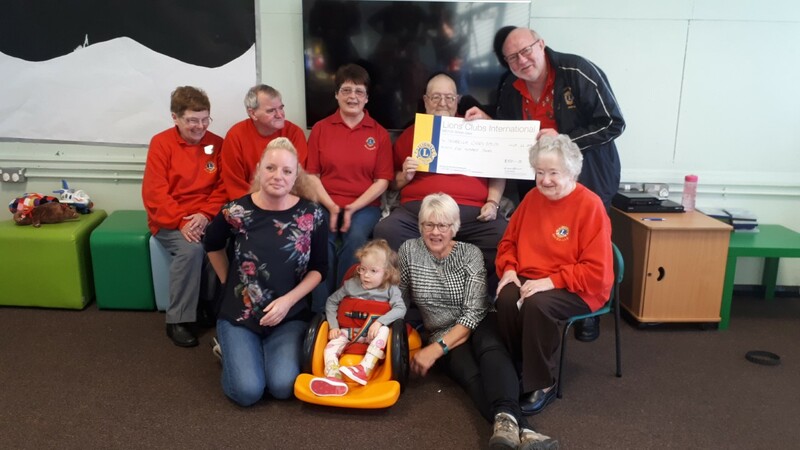 WE ARE NOT A WELFARE ORGANISATION, yet over the years, in good times and bad, thousands of less fortunate people have been the recipients of the Generosity of Lions. WE ARE NOT A SPORTS OR RECREATIONAL AGENCY, yet thousands of Youngsters have been involved in Lions Youth Sports Programmes Nationwide. WE ARE NOT A RELIGIOUS ORGANISATION, yet the precepts we live by are very familiar to the Doctrines of the Worlds Spiritual Bodies. WE ARE NOT A MEDICAL OR HEALTH ORGANISATION, yet our Clubs have performed Miracles in this wide panorama of Community and individual Service. WE ARE NOT AN EDUCATIONAL FOUNDATION, yet thousands of students are today in schools built by the Lions Organisation. WE ARE NOT A UNITED NATIONS, yet we are an Instrument of peace, and our Clubs contain people of all Races, Colour, and Religions.